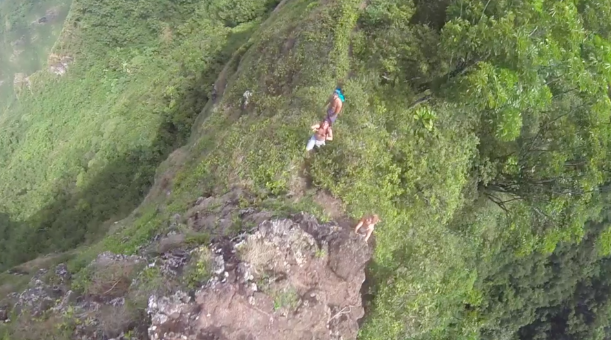 What to expect: Long ridge hike up the Koolau ridgeline to the top of Lanihuli. The hike begins on the northeast side of the Pali Lookout. You will see an opening in the bamboo with a sign that advises you do not pass. Head up to the Pali Puka and veer left through the jungle. Begin climbing up the side of the ridge once the trail ends(This may not be obvious). Continue up the path to reach Lanihulu. You will face some very steep and dangerous climbing to get to the peak.